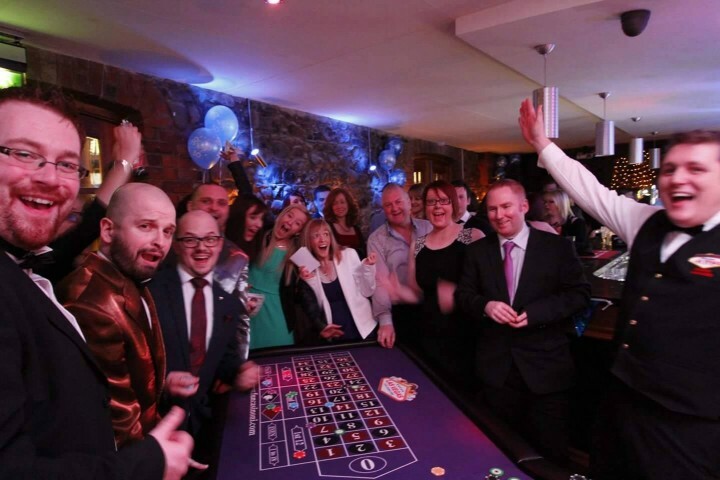 Fun Casino Northern Ireland – Bring all the glitz and glamour of fabulous Las Vegas to your wedding, party or event with our fully working, fully authentic Fun Casino! A Fun Casino Night is the perfect form of entertainment which presents an ideal way to “Break the Ice” and create interaction between guests. We can transform anywhere into a fully working casino with full size Roulette, Blackjack and Poker tables. The tables are staffed with our professional croupiers who will not only deal the games, but have a laugh with your guests making your night one to remember. 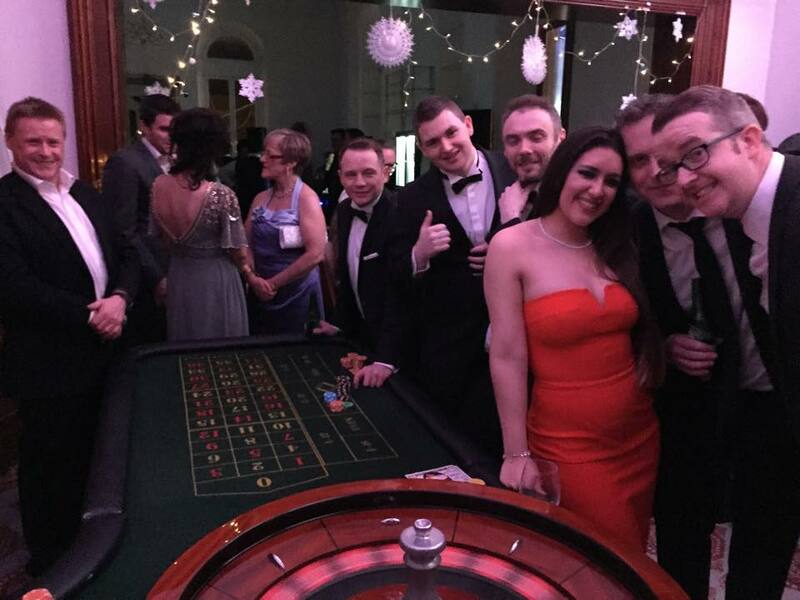 Our Casino Nights can cater for Small home parties of 20 guests right through to large corporate and charity fundraising events with 300+ guests. We travel throughout Northern Ireland including Belfast and the border counties of Republic of Ireland including Dublin. Do I need a licence for a fun casino night? No restrictions or licenses are required as we simply provide themed entertainment and NEVER use real money. You do not need a gaming licence to have a fun casino. We are fully insured and run to comply with the 1976 Amusement and Lotteries Act. You and your guests use ‘fun money’ supplied by our professional croupiers as there is no real money used at the tables.. Fun money is exchanged at the gaming tables for chips just like a real casino. At the end of the gaming session, a prize can be put up for the winner of the most chips! We provide the full size gaming tables, casino chips, professional croupiers and fun money, all you have to do is provide a prize. Remember, the better the prize – the more competitive it gets at the tables! Silly prizes such as a pair of socks can be placed for the biggest losers to add extra fun! 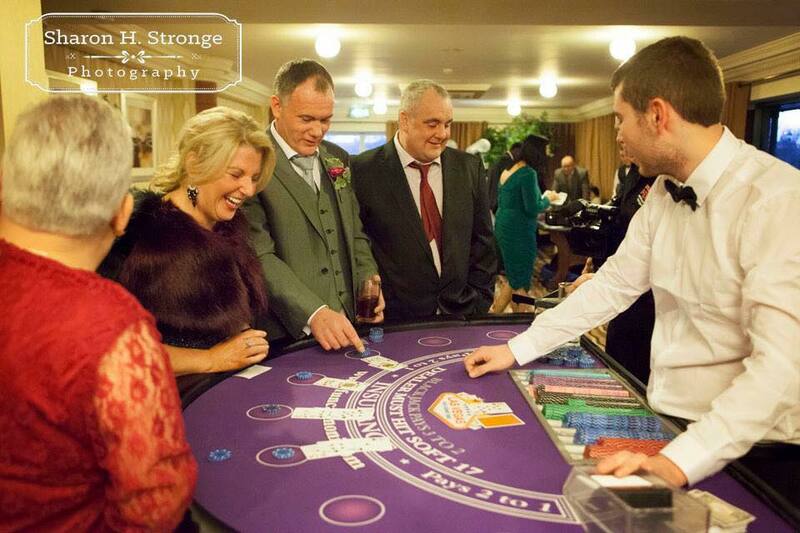 Our professional croupiers will be happy to explain how the games work and will ensure your event runs smoothly. Our Casino is fully mobile and we can attend any venue, of your choice, throughout the Northern Ireland, Belfast and the Border Counties of Ulster (Donegal, Cavan, Monaghan & Louth) as well as Dublin City. We can also work further afield in Republic of Ireland and Scotland if requested. There are 5 stars on our logo – That’s because we are proud that we provide five star service for our clients. Our attention to detail and professionalism has helped us secure bookings from top clients and hotels in Northern Ireland and further afield. Don’t just take our word for it, see below…. “We booked Las Vegas Casino to help launch the Golf Mk7. The tables looked great and the staff where very helpful and our customers really enjoyed the night! I would recommend Las Vegas fun casino for any event.” Alan Smyth , Donnelly VW, Campsie. “A guaranteed fun night out for everyone thanks to Keith and his professional team. Keith has a great personality and his enthusiasm is contagious.The team arrived in good time and took about 30 mins to set up and were able to dismantle in 20 mins to make way for our band. Thank you for doing a great job .. we had a incredibly successful fundraising night and everyone had a great night.